Need some inspiration for your 2017 travel planning? 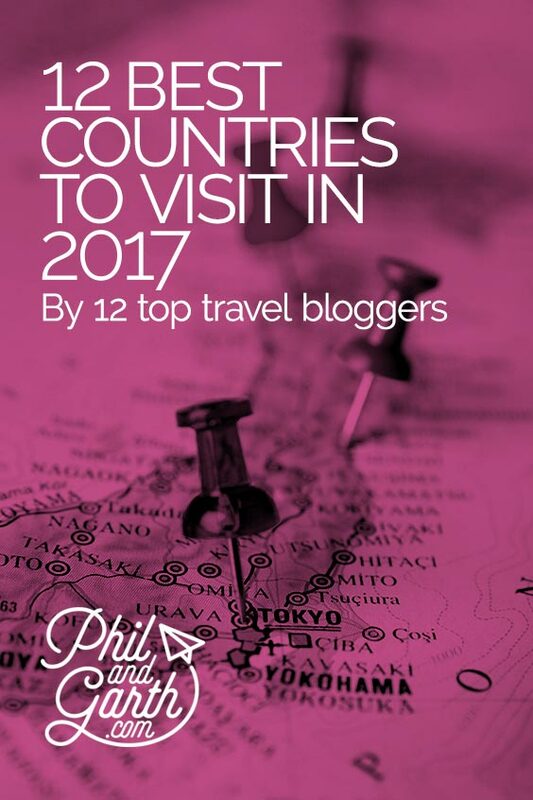 Here’s a list of the best 12 countries to visit in 2017 and which months to go as suggested by 12 top travel bloggers from around the world. By Garth from Phil and Garth a couple of sightseeing travel addicts. We love Iceland, so much so we’ve been twice and are currently planning a third visit. It’s a small country but vast in wilderness. The awe inspiring volcanic scenery and empty lava plains are spectacular for hiking and photography, it feels so otherworldly. January is cold, but not freezing, as temperatures hover around 0ºC, perfect for exploring the snowy winter setting. Why not hire a car and head to South Iceland? You’ll be spoilt for choice of natural wonders – waterfalls, black beaches, glaciers, even an iceberg filled lagoon! Alternatively in hip Reykjavik take one of the many daily tours around the big 3 ‘Golden Circle‘ sights – Thingvellir National Park where the Eurasian and American tectonic plates meet, Gullfoss one impressive waterfall to rival Niagara and Strokkur a geyser that spouts water every 5 minutes. 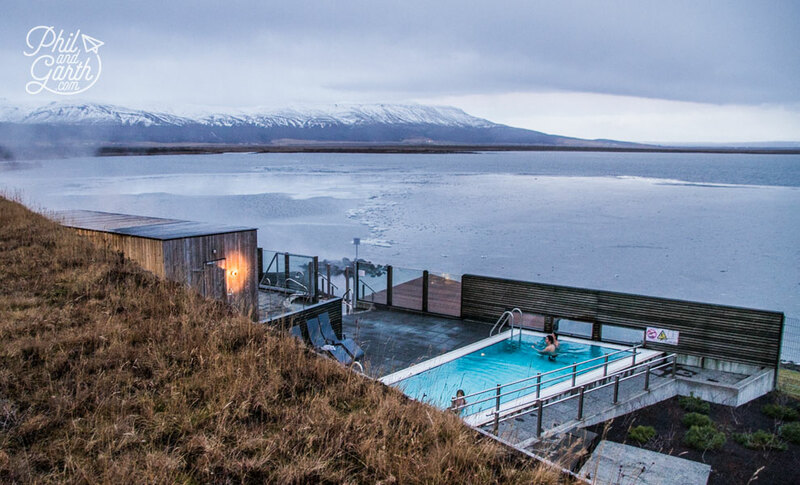 Do what the locals do and go swimming in one of the geothermal heated pools or try wild swimming in a hot spring. January is also the perfect time for aurora hunting, if mother nature is on your side there’s a good chance you’ll see the dazzling northern lights, like we did in Reykjavik. Love shopping and Nordic noir? then buy yourself a hand kitted iconic Icelandic jumper ‘Lopapeysa’. Oh and did we mention Iceland has a tiny population? just 328,000 residents so you’ll have this unspoilt island all to yourself! 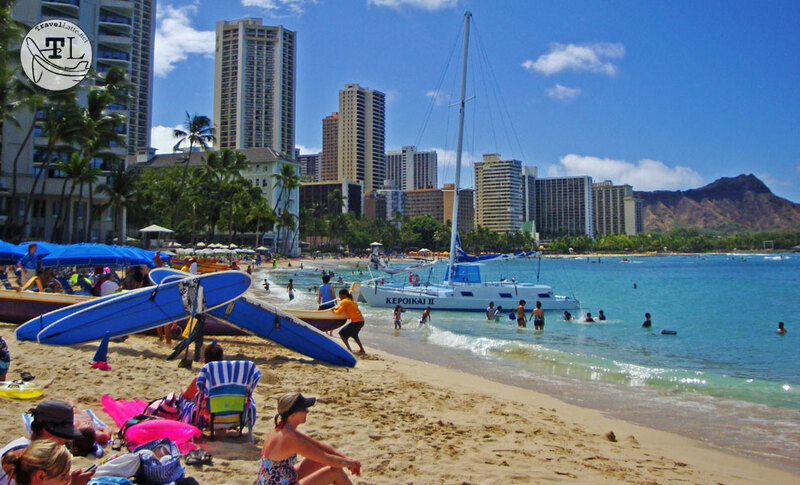 From sunbathing to surfing, Waikiki Beach is the epitome of fun in the sun! By Rob & Ann of Travel Latte Pretirement travelers seeking affordable luxuries. Far away from the American mainland is the youngest of the United States, Hawai’i. The Pacific paradise is known for beautiful beaches, rugged mountains, and “ono grinds” (good food), but each of the eight main islands has its own features. Luckily, it’s easy to island hop and find your favorite! Why visit in February? It’s peak whale watching season! Get a front row view from the shores of Maui, then drive the legendary Road to Hana. On the Big Island, explore the otherworldly landscapes of Volcanoes National Park and Punalu’u Black Sand Beach Park. The “Grand Canyon of Hawai’i” is on Kaua’i, where you can fly over the cliffs and canyons featured in Jurassic Park. And no island vacation is complete without visiting Oahu, home of world-famous Waikiki Beach, Pearl Harbor, and North Shore big wave surfing. Of the four smaller islands, you can only stay on one: Lāna’i, home of the sensational Four Seasons Resort. Kahoʻolawe has been called Target Island since it was a World War Two bombing range. Not surprisingly, it’s uninhabited and volunteer workers are the only visitors. On Moloka’i, you can tour a former leper colony at Kalaupapa National Historic Park. Finally, there’s the Forbidden Island of Ni’ihau, so called because it’s off-limits unless you are on a tour or related to a resident. You can still get a souvenir, though: the island’s trademark pupu shell leis are sold throughout Hawai’i. Pick an island, but be warned: you will fall in love with Hawai’i! Dominican Republic. The two words that create this Caribbean island inspire visions of soft, smooth beaches, impossibly blue water, endless amounts of rum in hearty coconuts, and tropical paradise—far away from the final remnants of cold March weather! Because, let’s face it. Winter or spring, March can be a beast of a month—and sometimes, we all need a break. 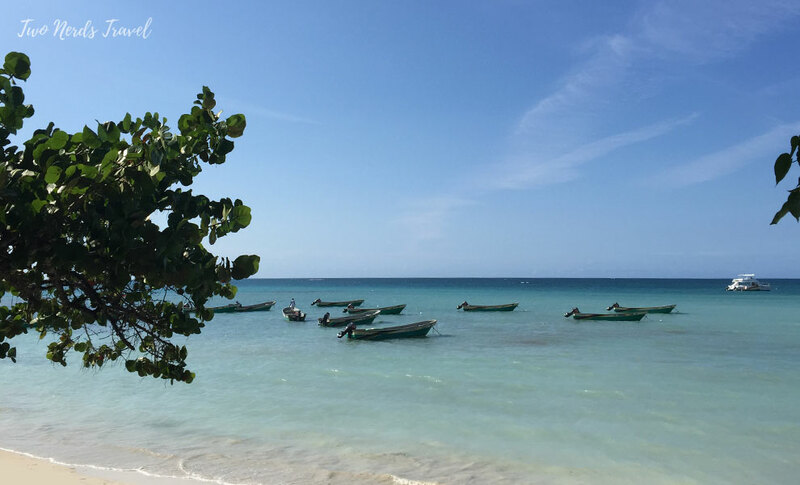 Outside of Mexico and (just recently) Cuba, the Dominican Republic ranks as one of the most affordable places for a Caribbean getaway. And with the variety of wild experiences it offers visitors, this island doesn’t hold back. It pulls out all the stops! The Dominican Republic is perfectly warm during March, with lots of sun, long days, and only an average of 2 inches of rainfall during the month! This makes it perfect for spending a day on the beach, snorkeling natural reefs with colorful fish, sipping pina coladas, taking a tour of the countryside and tobacco plantations, or chatting with friendly locals. This amazing destination has everything to offer, great for adventurers, self-professed beach bums, and budget-conscious travelers. Seriously, you might ask? It’s really all that? Well, only way to know for sure is to see for yourself! Japan, “Land of the Rising Sun” is a world apart where there are cultural differences between the modern and traditional. Japan, a place along the Silk Road has evolved since the Jesuits discovery in the 17th Century. The culture, food, great places to visit, and friendly people are drawing visitors from afar. The culture of the Japanese people is warm and friendly. The modern city of Tokyo has a hustle and bustle feeling along with its tall skyscrapers. Then there is the traditional city of Kyoto with its temples and shrines. Last, let us not forget the tasty culinary food of Japan. Japan with its 4 seasons has so much to offer the traveler. Start with skiing at Niseko Hokkaido, then to the flowers blooming and leaves changing colors in Kyoto. Also take advantage of the many hikes available. 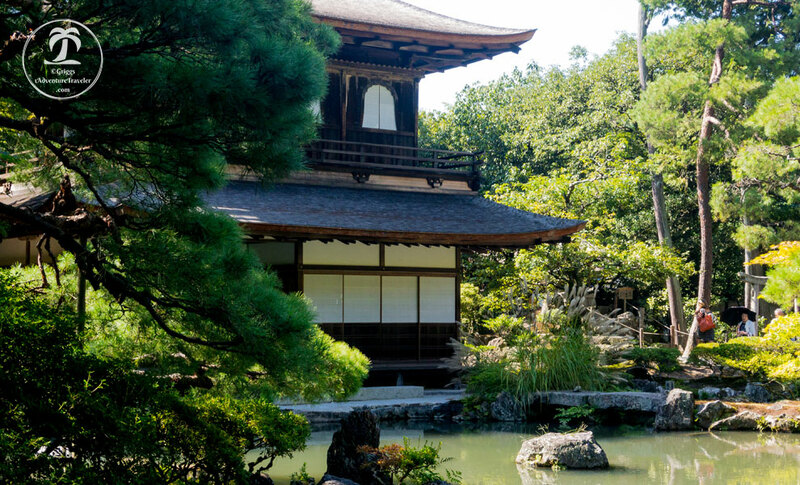 In Kyoto plan to see the 17 UNESCO World Heritage Sites, there are 1600 Buddhist sites and over 400 shrines. See the blooming of the cherry blossoms and the colorful changing of leaves. Other sites to visit are Hiroshima to tour The Peace Memorial Park, and then hop on a train to the Island of Miyajima. There you can see the looming Majestic Orange O-Torii Floating Gate casting a surreal beautiful reflection on the water. These are just a highlight of some wonderful places to visit in Japan. Interact with the local people and learn their culture. Through my many visits and experiences in Japan I found a connection with nature, the people, and the magnificent country. Romania may not be at the forefront of many people’s minds when planning a trip to Europe but it has a lot of the elements that make for a great European destination. 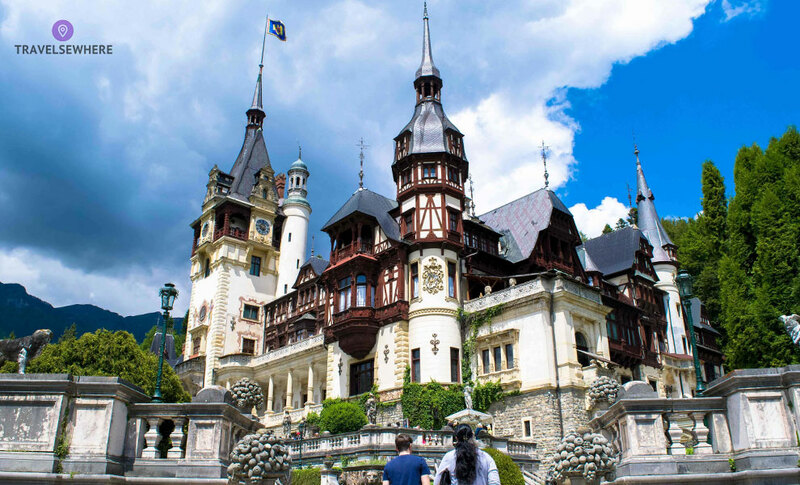 Firstly, like many of the popular European spots it has its own atmosphere, strongly driven by the gothic myths surrounding the region of Transylvania and fictional native, Dracula. But the country is so much more than the home of Bram Stoker’s creation. Transylvania boasts seriously impressive and elaborate castles; amongst the best being Corvin, Peles and Bran Castles. You’ll also find some incredibly charming old towns throughout like Sibiu and Sighisoara. The region is also known for its UNESCO heritage-listed fortified churches built by Saxon settlers. Not to be overlooked, Romania is also home to plenty of dramatic landscapes and nature. The rustic, farming landscapes of Maramures will send you back to simpler times, while the dramatic forests of the Carpathian Mountains are dense and still home to brown bears. May is a perfect time to visit Romania with the late spring weather making for nice sunny days everywhere except for the cooler temperatures for places like Brasov up in the mountains. It’s also on the cusp of peak tourism season, meaning places are not yet close to busy and things are more affordable in an already inexpensive country. 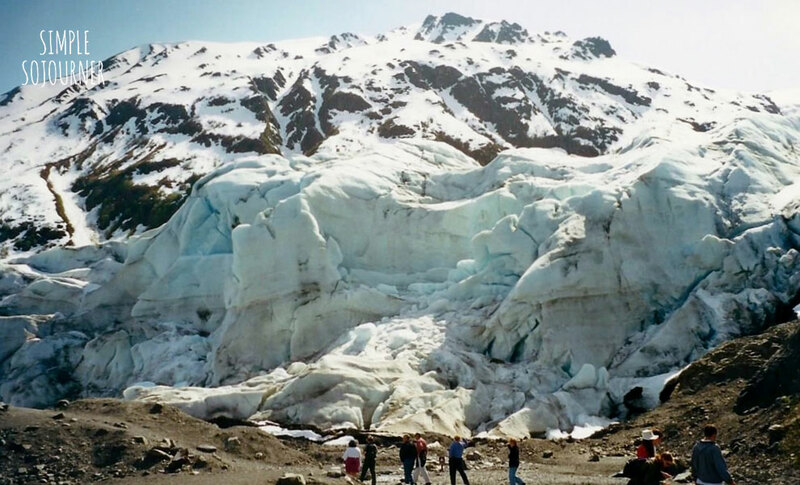 Alaska may be the last frontier but, it should be first on your summer vacation list of US destinations. Summer time is a fabulous time to visit Alaska. You will experience an outdoor enthusiast’s paradise like none other. Immerse yourself in the wild and rugged beauty of Alaska’s National Parks with diverse and scenic geography, abundant wildlife up close and personal, a chance to walk on a glacier, and people as warm and friendly as the 18 to 20 hours of sunlight each day. A plethora of activities awaits you on these long warm summer days. Take a boat cruise or kayak through Kenai National Park, where you will see whales, seals, otters, bald eagles and countless glaciers. Take a drive or hike through Denali or Wrangle-St. Elias National Parks and see bears snare a salmon lunch, large roaming caribou and bison herds, or visit historic buildings from the gold rush era. Exhilarating white water rafting down famous rivers or try your hand at fishing along the coastlines or on a chartered tour. Take a dip in a natural hot spring near Fairbanks or relax and do a little shopping in Anchorage. Experience the Native Alaskan culture through museums, native dances, local artisans and festivals. Alaska offers an expansive range of dining and lodging to fit any budget. Whether you decide do to an Inside Passage cruise or opt for the mainland (or combine both), discover for yourself why there’s no place like Alaska! 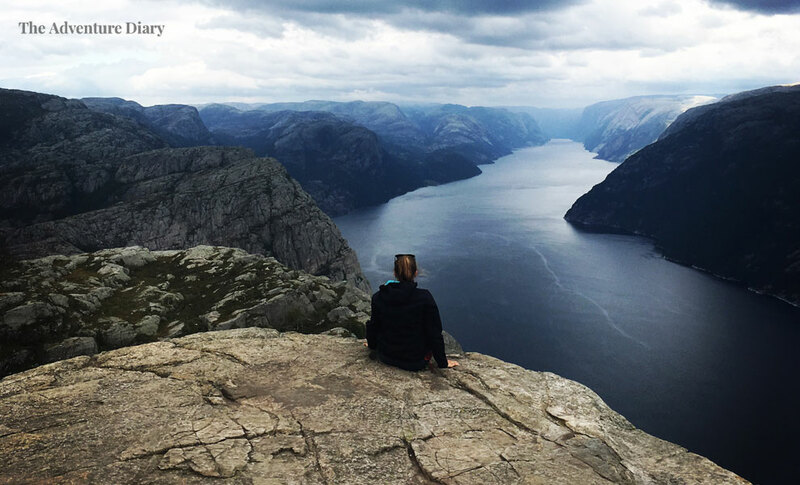 The Hikes – Many of the world famous hikes including the Trolltunga and Preikestolen rocks are often off-limits in the winter due to heavy snow. Within the summer you’re able to adventure around the incredible mountains without guides. Camping over night is also an option and this means you’ll get the most popular places to yourself. Which is recommended as it can get very, very busy! The Fjords – During the summer the reflections and colours within the fjords are breathtaking. You’ll be able to find wild berries growing around the fjords. If you have the time to sit and watch the fjords you’ll often see pilot whales hunting, as well as otters and a range of other wildlife. Summer in Norway, doesn’t sound to bad at all! Borneo has something for everyone, but it’s still a largely undiscovered destination. So what does this year-round destination have to make it my must-see Country? Pristine rainforests? Check. Ancient biodiverse land? Check. Wildlife? Check. Super-friendly people? Check. Amazing food? Check. 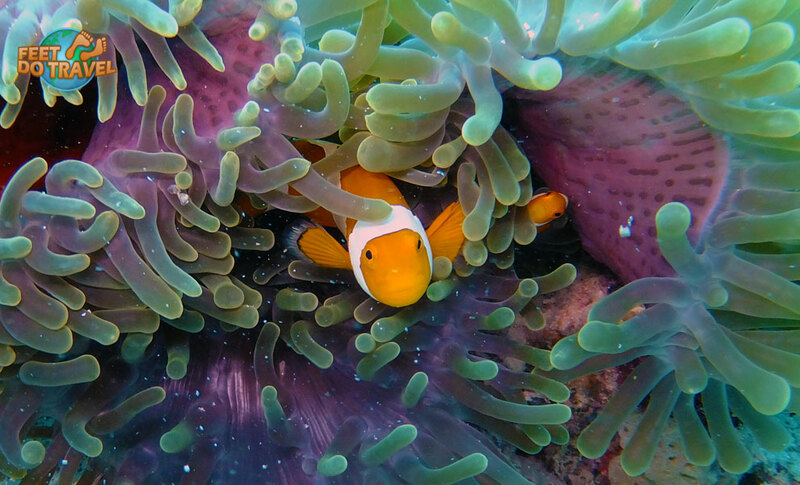 Some of the best scuba diving & snorkelling in the world? Check. Now can you see why it’s special? One of the many jungle experiences you can have is a visit to the world-famous Sepilok Orang-utan Rehabilitation Centre in the Sabah region. They operate jungle night walks so we recommend a stay at nearby Sepilok Nature Resort. A stones-throw away from here is the Borneo Sun Bear Conservation Centre and 30 minutes by taxi is Labuk Bay Proboscis Monkey Sanctuary. If you have always loved the idea of staying in a tree house, we loved our time at Permai Rainforest Resort in Damai, approximately 45 minutes from Kuching in the Sarawak region and Bako National Park is also close by – there are just so many opportunities to view wildlife in Borneo! Borneo has incredible scuba diving including the world’s #1 dive site at Sipadan, so if you visit for this reason, you should seriously check out Scuba Junkie on the island of Mabul, they really do look after you here! Now you know how amazing Borneo is, what are you waiting for? Go and visit! By Mike and Mark from The Boys Abroad – Two Kiwi boys sharing adventures. Croatia is the stuff of dreams. Regardless of If you’re after incredible hiking trails, clear blue waters, ancient towns or raging parties, Croatia has you covered! Where else in the world can you cruise around the islands living the good life for under under €70 a day!? September is a great time to visit. It’s the end of the season so the crowds have thinned and you don’t have to fight for a sun lounger or a spot on the dance floor! You’ll also get more bang for your buck as tour operators and hoteliers drop their prices. If you’re visiting Croatia and love the ocean, we’d definitely recommend doing a cruise around the islands. There are a tonne of different operators offering different experiences, with a bit of research you’ll be able to find the right one for you. We opted for a 7 day Sail Croatia cruise and it was our favourite week of the year! There’s more to Croatia than sun tanning and sipping cocktails though. You can explore the back alleys of Dubrovnik, zip line in the mountains of Makarska , or go hiking through the UNESCO Plitvice National Park. 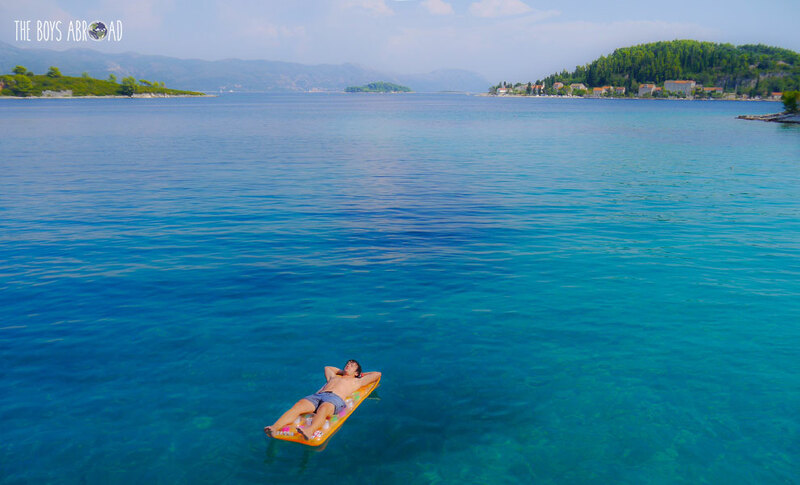 No matter what experiences you’re after Croatia will tick all the boxes! Taking off in recent years thanks to Game of Thrones and millenials never ending search for their next big insta post, Croatia definitely deserves its spot as one of the best places to visit in 2017. 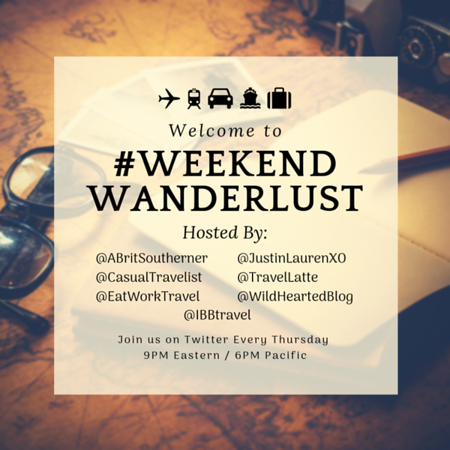 By Jenn, half the By Land and Sea duo, exploring the world through affordable luxury, and sustainable travels. Although the island of Antigua greeted us with a hurricane upon our arrival, we immediately fell in love with its charm. While many of the countries that dot the map across the Caribbean are filled with that laid back island vibe, Antigua seemed to stand out from the crowd. It’s a small island of about 80,000 people and somewhat lesser known to tourists when compared to mainstream destinations like Jamaica and Puerto Rico. Head here to enjoy less crowded spaces and some of the most beautifully clear, warm, turquoise waters you will lay eyes on. The island is known for its beautiful beaches; all 365 of them! With plenty of options to choose from you don’t have to worry about overwhelming crowds as you soak up the sun. Antigua also boasts impressive shorelines where you can spot anything from the remains of historic sugar mills to natural geological formations which the names are more akin to something from the underworld (like Hell’s Gate and Devil’s Bridge) than a paradise island. You’ll also catch glimpses of haunted resorts and massive mansions of the rich and famous! If jungle adventures are more your thing, head inland for exhilarating activities like ziplining where you can blast your way though the tropical canopy! St. John’s offers that special touch of city life that many crave, but the towns that cover the island all have a great deal of charm and warmth. 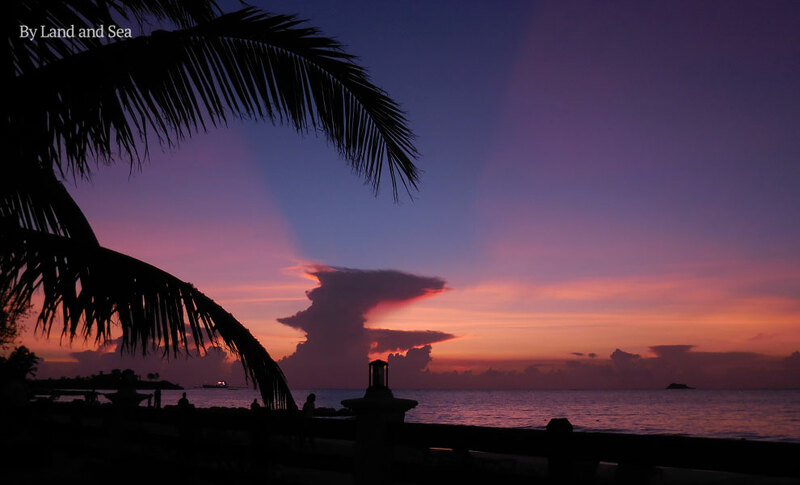 If you are looking for a tropical paradise that has a little something extra, plus some of the most spectacular sunsets we’ve ever seen, Antigua is the place for you! By Travel Lexx, exploring the world one active adventure at a time. While it can hardly be described as off-the-beaten-track, Thailand offers so much more than fly-and-flop beach breaks and well-trodden backpacker trails. A November visit provides a perfect combination of good weather, large-scale festivities and less-crowded attractions. One of the highlights of all my previous visits to Thailand was witnessing the annual Loy Krathong celebrations with small floating baskets lighting up the country’s waterways. 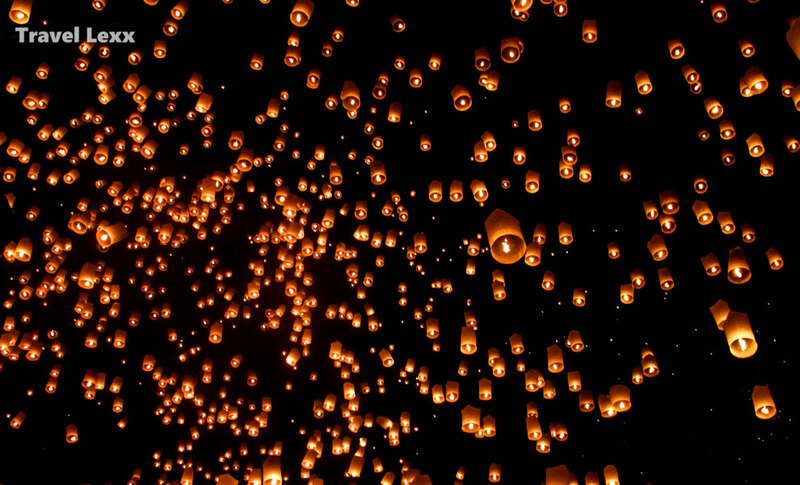 Chiang Mai is one of the best places for festivities, which incorporate the magical Yi Peng Lantern Festival when thousands of khom loi lanterns are released into the night sky. The moderate November weather is great for exploring the usually stifling capital. After seeing the sights, get away from Bangkok’s hustle and bustle by cycling through leafy Bang Kra Jao district or exploring serene temples and quaint villages in nearby Nonthaburi Province. Cool November days are also perfect for hiking and spotting wildlife in Khao Yai National Park, Thailand’s oldest. Wild elephants are the main draw here and with almost 400 different species roaming the park, there is plenty to keep nature lovers happy. Beach lovers should island hop in the Koh Chang Archipelago in Eastern Thailand for pristine sands, clear turquoise waters and overhanging coconut palms. There are also stunning waterfalls, jungle hikes, great snorkelling and a growing diving scene. Best of all, the islands are far less touristy than Thailand’s staples. 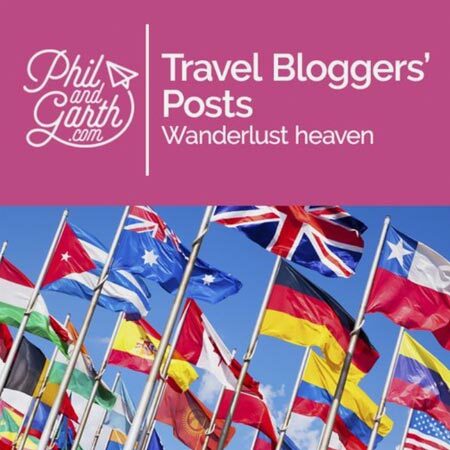 By Kelly from Trippin’ Turpins – Full-time travellers and sailors. We love Cambodia and would willingly visit it at any time of the year. However, due to the lower humidity, milder temperatures and the sunny days, December is one of the most popular times to visit. Cambodia’s rich history goes back many centuries to a time of magnificent temples, wealth and religion. A must-do activity on any Cambodia itinerary is Angkor, an astonishing place full of ancient temples. 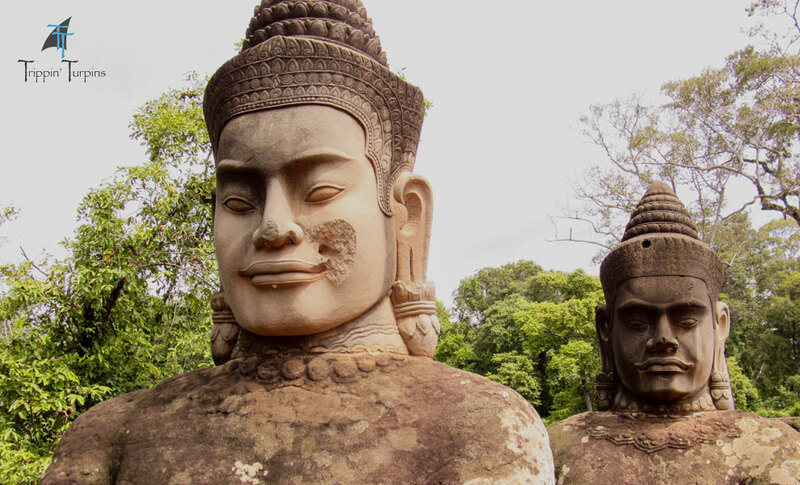 Angkor is a UNESCO World Heritage Site, and is home to literally dozens of ancient temples. If you want to get in touch with your inner Lara Croft or Indiana Jones this is the place to visit! A more sobering facet of Cambodia’s history is the Khmer Rouge Regime. Pol Pot, the leader of the Khmer Rouge was a madman with an insane vision of a pure communist society. Visit Tuol Sleng Genocide Museum and Choeung Ek Genocidal Centre and pay your respects to the people who lost their lives during this horrific time. Cambodia has the cheapest cooking classes I have come across and many iconic foods. Visit Kampot, famous for its peppercorns or Kep, a seaside town known for its seafood. Do try the green peppercorn crab! It is delicious! If you want a beachside holiday, head to Sihanoukville, with its many beaches and nearby islands, it is no doubt Cambodia’s seaside resort town! Cambodia truly does have something for everyone! Alaska is in my to do list, but I haven’t got chance to plan trip to Alaska. Borneo haven’t heard of it before thanks for writing about it, wonderful post and guide. Great list! Personally, I’d push a lot of these to different times of the year so I could get some amazing skiing in. For example – Alaska in April; Japan in December; Norway in May (you can still ski then); and so forth. Thanks for putting this all together Garth! 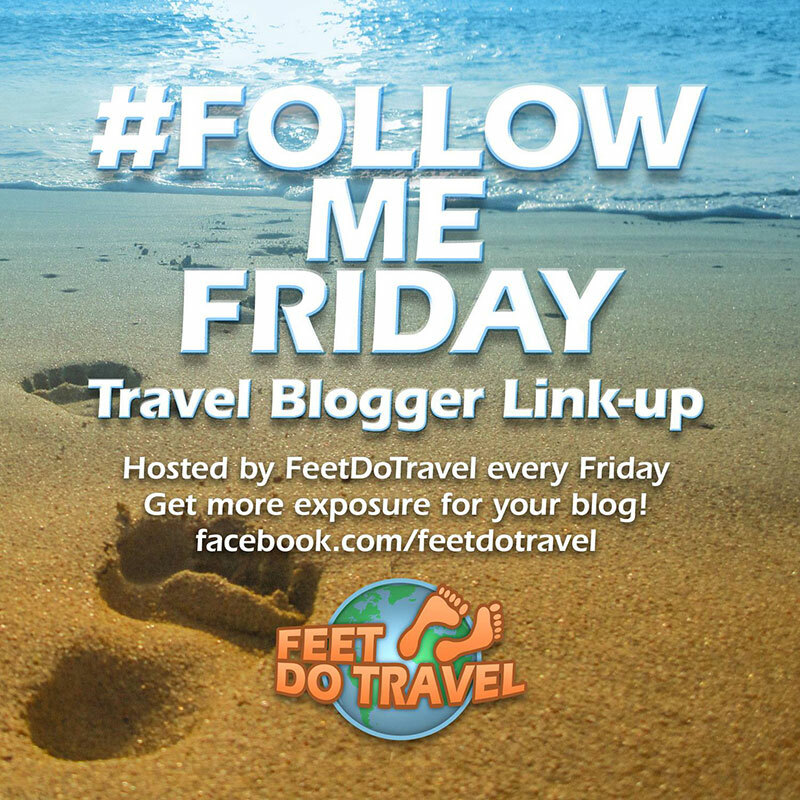 Great to read everyone’s posts and definitely a few spots here that I’d now love to visit. Here’s to 2017! Great collaboration post! Looks like I just missed out ha! Planning a January trip to Iceland next year, so will definitely look into your suggestions and I would absolutely love to see Japan aswell! And Norway! I mean there isn’t anything on this list that I wouldn’t want to see! Amazing suggestions. I would like to visit all of them. In particular Borneo, Iceland and Norway. Time to get booking. Thanks so much for the ideas. Thanks! and yes we’d love to get to Borneo too!